Greeks want tax cuts and less government, even if that means that they would lose some social benefits, and believe that the crisis was brought by “our own shortcomings,” a new study shows. These are some of the results of the third edition of the survey “What do Greeks Believe”, conducted by the diaNEOsis organization. In the survey, 62.1% said that the crisis is mainly due to “our own shortcomings,” while only 9.7% believe that foreign powers are responsible for the economic crisis. A high percentage (76%) consider themselves responsible for the condition the country is in because Greeks were used to living beyond their means. The percentage of those who attribute the crisis to the failures of the international financial system fell to 59.4% versus 77.3% in April 2015. 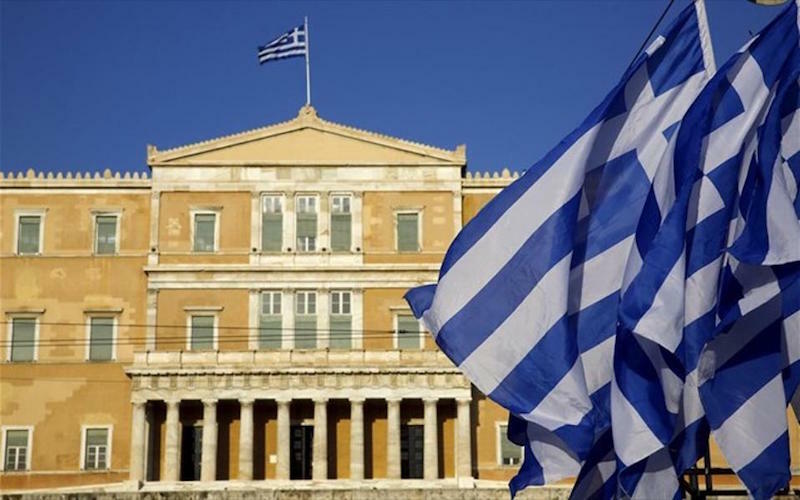 Greeks also want to see a reduced public sector and less statism, as 62.4% believe that the country needs less government, while only 21.8% believe that the recovery will come through increased wages and pensions for public sector employees and pensioners. In contrast, 73.2% favor the idea that the government should create incentives to attract foreign investments and boost exports. Also, the percentage of respondents who said they want to pay less taxes, even if that means that they would get less welfare benefits was larger than that of April 2015. In the third edition of the study, 22.6% of Greeks want less taxes and less welfare when the proponents of that concept in 2015 were 10.5%. Also, the percentage of those who considered it naive to believe that the Greek State can curb tax evasion increased from 62.2% to 71.17%, while 38.9% consider tax evasion a “legitimate defense” against overtaxation. The vast majority of respondents have a positive attitude toward investments (84.4%). At the same time, only 5.8% believe that the retirement age should be above 65 years and 51.7% believe it should stay below 60 years. Regarding migration, 46.4% of Greeks have a negative view of Muslim migrants, compared to 36.3% who have a favorable view. In regards to the broader migrant picture, 49% have a negative view of migrants and 37.6% a positive view. Overall, 88.3% of respondents agree or rather agree that the number of migrants in the country over the last ten years is too high, and 64.4% believe that migrants contribute to the increase in crime, while 58% are of the opinion that they contribute to the soaring unemployment. On the other hand, 25.4% see migrants as part of the solution to Greece’s demographic problem. As for what should be done for the migrant crisis, only 2.2% want migrants to stay permanently in the country, while 17.5% want migrants to stay gradually and conditionally. Others are in favor of their removal from Greece, with 20% being in favor of immediate deportation.